A virus deadly to baby pigs that has roiled the U.S. pork industry likely originated in the Anhui Province of China and may have evolved from a virus seen in bats, according to a report by veterinary researchers at the Virginia-Maryland Regional College of Veterinary Medicine at Virginia Tech. The report should help diagnostic researchers and federal officials, who have been trying to trace the origin of the porcine epidemic diarrhea virus (PEDv) since it was first identified in the United States this past spring. Previously, investigators and veterinary researchers tracking the outbreak said that there was some indication that the PEDv strain seen in the U.S. was 99.5 percent similar in genetic make-up to that identified in China. But exactly where it came from and how it arrived in the United States were mysteries. According to the report published last week in the American Academy of Microbiology journal mBio, the researchers extracted strains of PEDv virus from infected animals in Minnesota and Iowa. They then compared the genetic code of the virus in these samples to PEDv samples isolated in China’s Anhui province during an outbreak that began in late 2010. The results showed that the three strains that have emerged in the United States are most closely related to particular Chinese strains. “Taken together, the available sequence and phylogenetic data indicate that the PEDV strains emerging in the United States originated from China,” according to the published report. Veterinary researchers and U.S. Department of Agriculture officials say that PEDv does not pose a threat to human health, nor to food safety. While, there has been no indication that PEDv could jump from one species to another, the research team said it found the U.S. PEDv strains to have some of the same genetic features seen in a bat coronavirus. That, in turn, suggests the virus may have possibly having originated in bats and a potential for “cross-species transmission,” according to the report. There is no definitive data yet of how many animals have died in the United States from PEDv as farmers are not required to report PEDv outbreaks. As of the week of October 6, there have been 768 confirmed cases reported in 18 states, according to data compiled by state university diagnostic laboratories and federal officials. Each reported case could represent thousands of infected animals. Diagnostic veterinarians, producers and some livestock economists said they expected the virus to spread more rapidly as temperatures cool in the fall when piglets are being born. 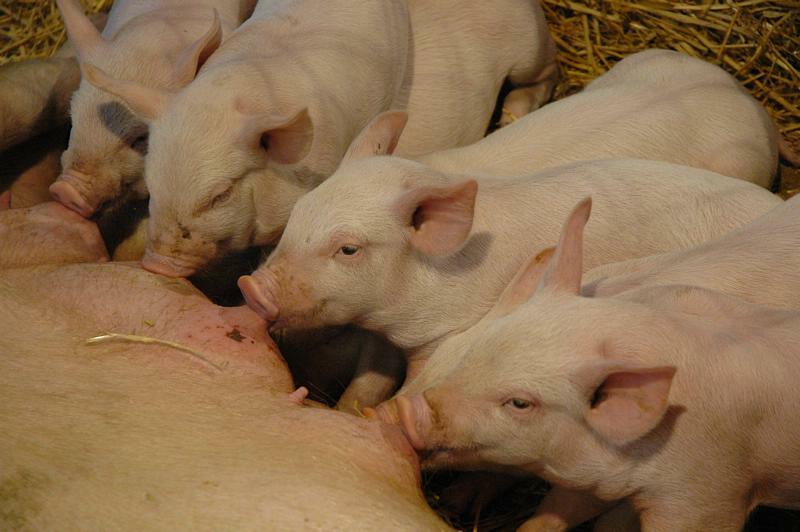 The virus is particularly deadly to very young pigs: average mortality rates range from 80 to 100 percent.